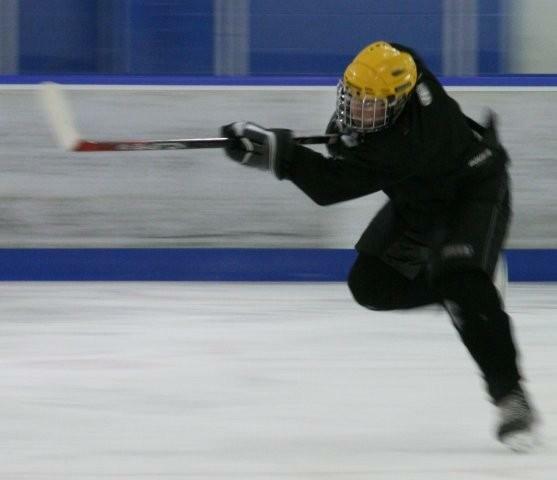 Offers the REP LEVEL player the opportunity to refine their skills, designed to focus on the 'unique' needs of the hockey forward. Players will learn how to forcheck, backcheck, control check, cycle, pivot, tight turn, beat the player 1-1, face-off, avoid physical checks, angle and gap control. We will also instruct 'sniper' concepts that will give you the skills to establish yourself as a power forward with the 'finish' of a goal scorer. This program has a restricted class size, lower student/instructor ratio, providing additional individual attention. Disclaimer: We the applicant and his/her parents or guardians agree that RPM Hockey Company Ltd. it’s owners, directors and instructors along with the ice arena, recreational facility and it’s employees are not liable for nor held responsible for any incident or loss however caused and agree to release same from all claims or damages. We further agree that the applicant has no medical problems and is in good physical health and that we will be responsible for all medical and dental claims and/or insurance. RPM Hockey Company Ltd.reserves the right to use any photos taken during the programs for advertising and/or instructional purposes. Players are expected to conduct themselves in an appropriate manner at all times failure to do so could result in removal from the schools. By registering for this program you agree to the terms above. Please Note: It is the responsibility of our clients to familiarize themselves with company policies. To view extended details for each program, including a list of dates & times for each session, click on a class's date.